Loxim’s undying commitment to excellence has helped the company in becoming an outstanding business entity in a short span of time. Thanks to the company’s policies and practices, Loxim has successfully received ISO 9001:2015 and IATF 16949:2016 certifications. 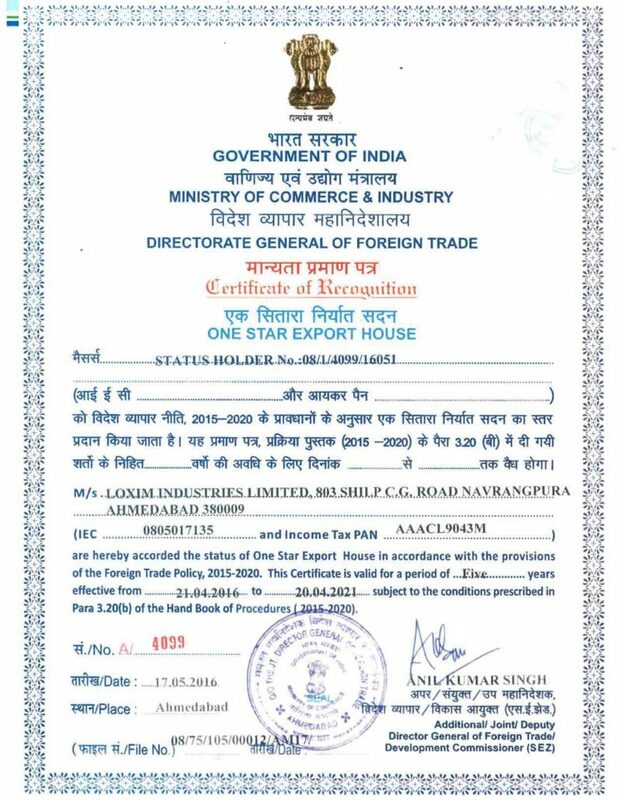 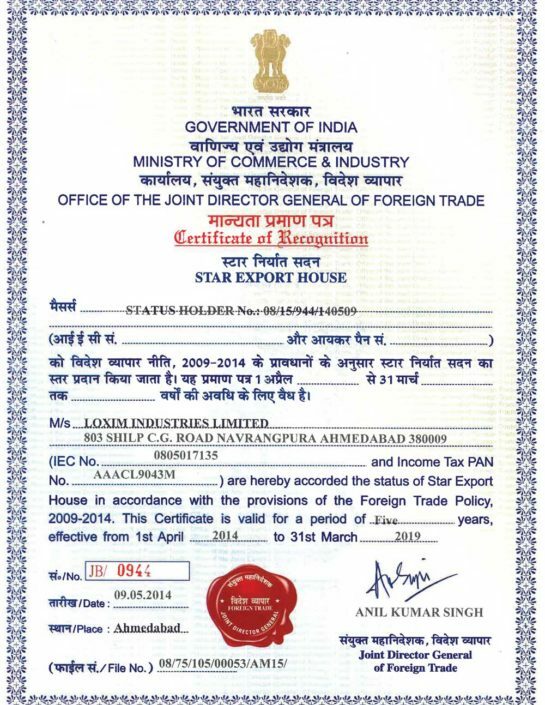 Further, Loxim has also been recognised by the Indian Government as ‘One Star Export House’. 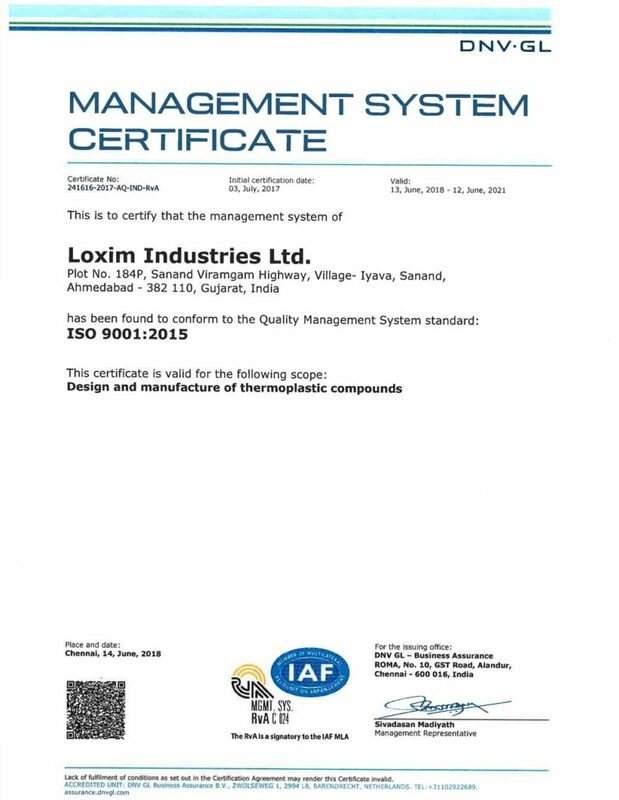 All these certifications are a testimony of the company’s unmatched capabilities and its adherence to stringent quality measures which directly reflects in its products and services. 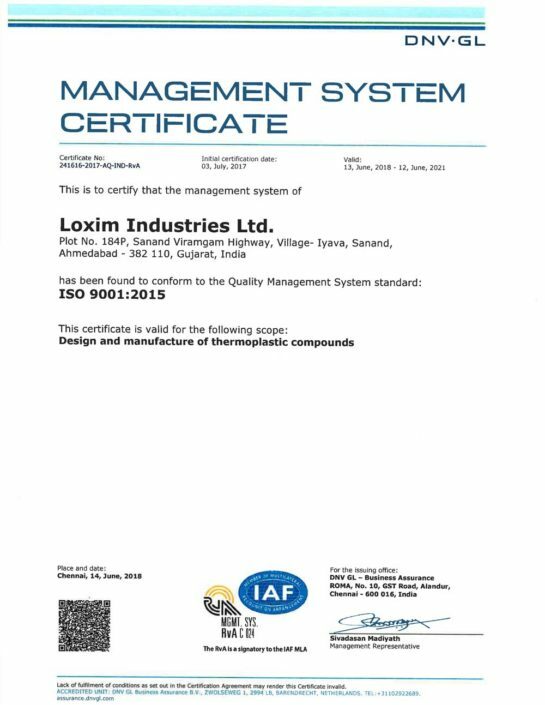 In addition, committed to offering quality products and services to its customers, Loxim makes every investment that adds value to the organisation. 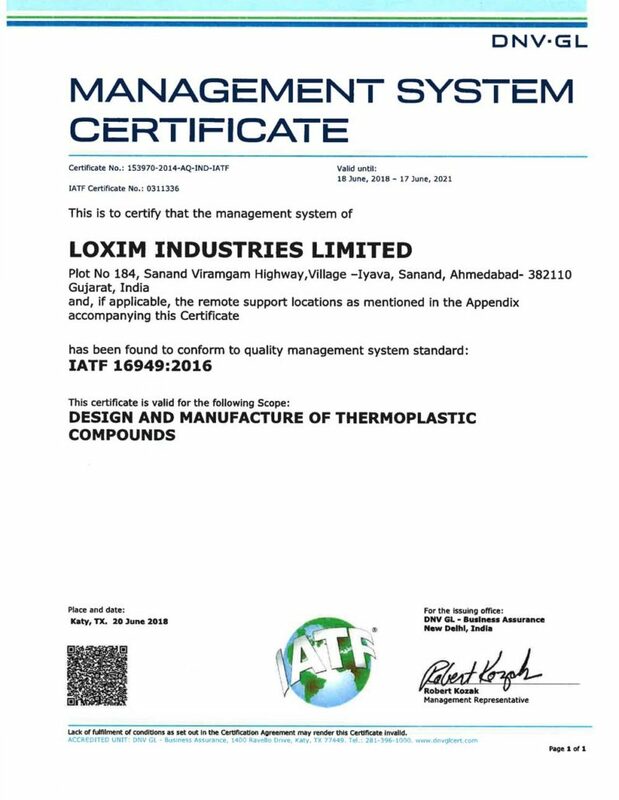 The company regularly invests in bringing the best technology and equipment at its manufacturing facilities. 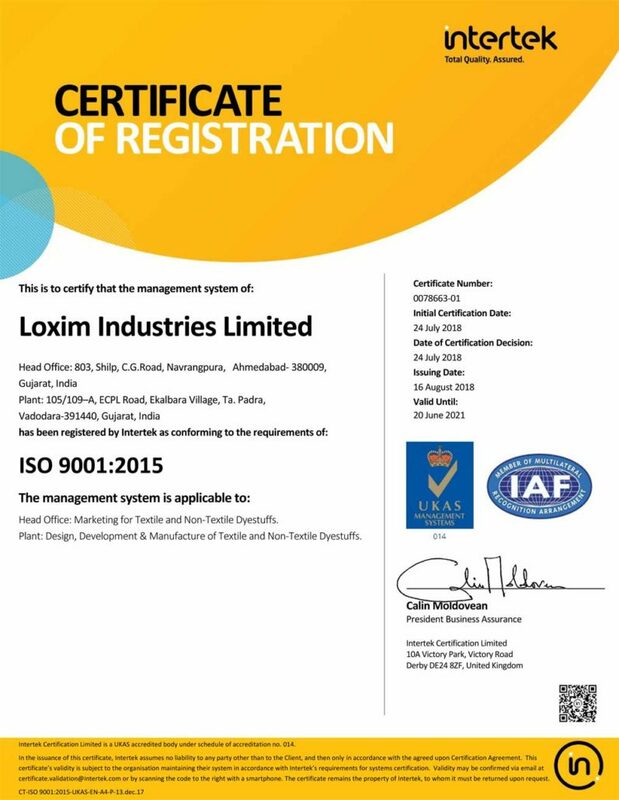 Most importantly, it invests in building a committed team that help in strengthening the company’s resolve to grow and succeed and deliver top-quality products.